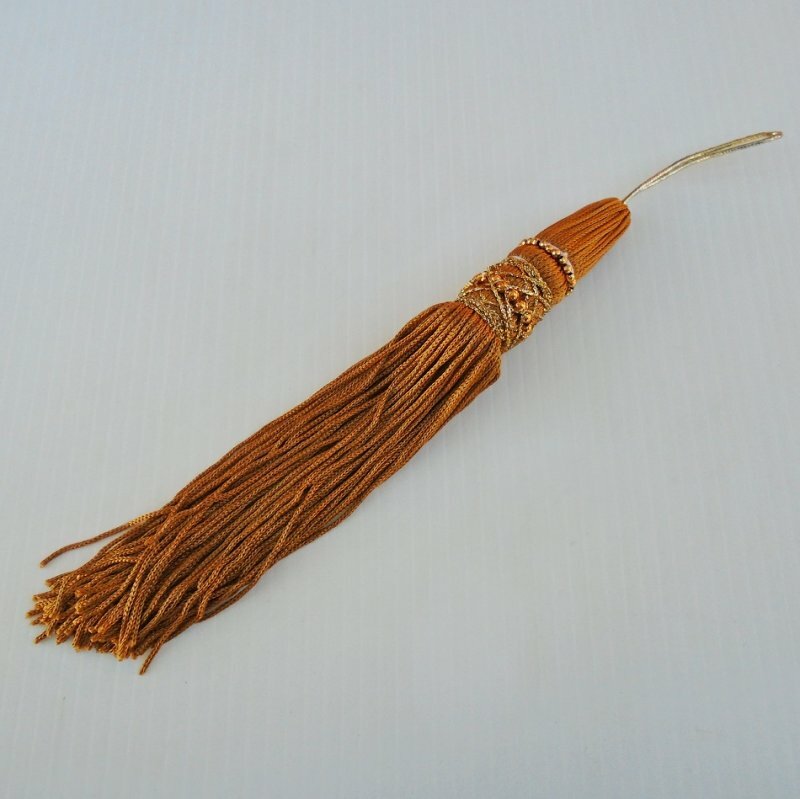 Gold tone tassel pull, 9.5 inch body with 12 inch overall length. Use for shade pull, zipper pull, purse or suitcase decor, bookmark and other uses. It is gold in color. 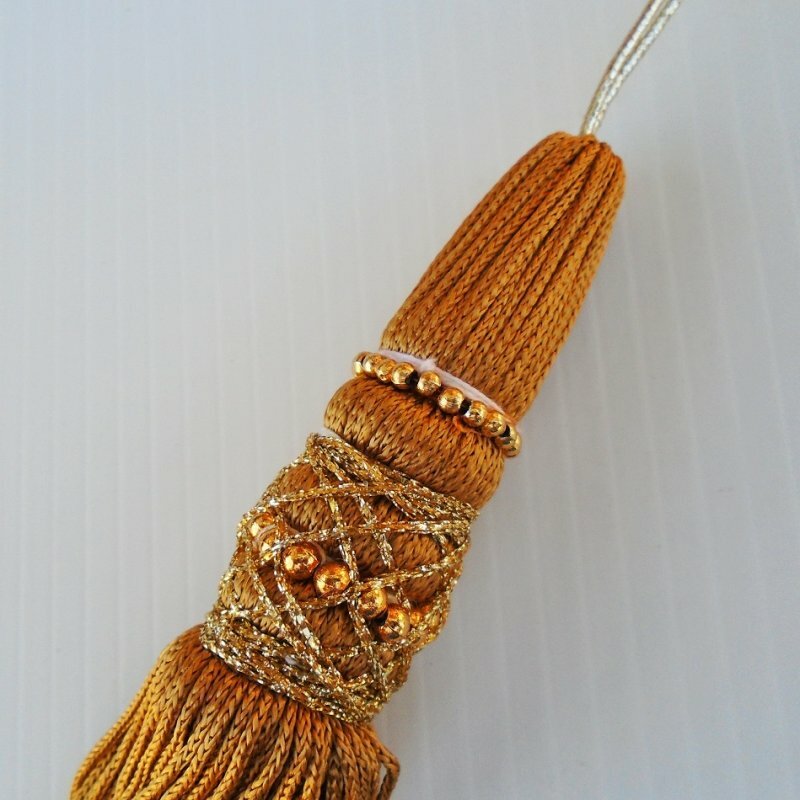 It is made from a very fine knitted rayon cord, like what you'd find on graduation tassels. It is actually a total length of 12 inches long. I put the length of 9.5 inches in my title and the 2.5 inch hang cord is not included in that measurement. As stated, never used. If you look at my second photo below, you'll see that on the back side a small sliver of white is showing through. I believe the gold balls can be rolled upward and with a spot of glue applied to keep them up, they would cover that white area. It's worth a try.